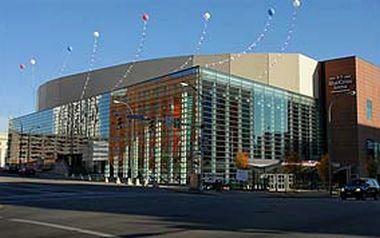 Rochester is getting new help to run the Blue Cross Arena. And that help is coming from Buffalo. City officials had only recently announced that they were ending the longtime management contract for the arena with Philadelphia-based SMG. At the time, Rochester officials said that company had performed below expectations. On Friday, Mayor Lovely Warren announced an agreement with Pegula Sports and Entertainment, the company owned by Terry and Kim Pegula who also own the Buffalo Bills, the Buffalo Sabres and the Rochester Amerks. Pegula Sports and Entertainment Vice President of Business Operations, Rob Minter, said this is a good example of how important Rochester is to their company. The Pegula’s company will operate the Blue Cross Arena on an interim basis through the end of the year, with an eye toward coming up with a longer term agreement after that time. Warren expects this arrangement to benefit taxpayers, with a better financial arrangement for the city and also bring additional entertainment events to that facility. The Blue Cross Arena is more than 60 years old. The Pegulas reportedly had expressed some concern about the aging facility a couple of years ago. Minter says they do want to work with the city to make the arena a first class facility, but no specific improvements were discussed during a Friday news conference. The deal to have Pegula Sports and Entertainment manage the Blue Cross Arena must still be approved by Rochester City Council.